After a profound tragedy, Penn State was faced with a decision. It was clear the existing model of Greek self-governance here and at universities across the country was broken. We considered withdrawing University recognition of Greek-letter organizations and walking away from Greek-life altogether. But we believed that Greek organizations operating without University oversight would make our community less safe. 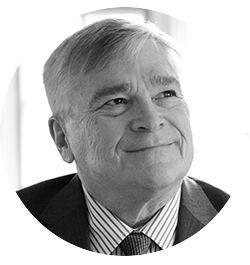 We also believed, that through concerted effort, we could both recapture many of the positive ideals of Greek life and minimize risky behaviors. Consequently, we implemented a number of sweeping changes in 2017, the heart of which were aimed at increasing student safety and decreasing risky behaviors — particularly heavy drinking and hazing. We opened new lines of communication with national organizations, chapters, alumni, trustees and our own students. And to that end, many students, together with alumni, legislators and law enforcement, have stepped up as important partners. Although it is probably too early to claim a trend or to demonstrate a clear causal relationship to the reforms, the signs are encouraging. For the first full academic year with Greek-life reforms in place, Highlands neighborhood total crimes reported are down by 20 percent and total cases at fraternities are down approximately 30 percent compared to the last year without reforms in place. For the fall 2018 semester, there were 17 percent fewer alcohol-related Mount Nittany Medical Center emergency department visits by students than in the fall 2017 semester. And, Greek-life academic performance is stronger with Panhellenic grade points up by 0.3 and Interfraternity Council grade points up by 0.2. All four student-led Greek councils have increased their new member grade-point averages since the implementation of deferred recruitment and enhanced eligibility requirements. In addition to the State College Borough statistics, we are collecting data and sharing it through our Greek Chapter Scorecards — and it has been met with great interest. Our scorecard, for example, had almost 10,000 unique downloads between March and December alone. This is proving to be a vital tool for the community — for students and their parents it provides key information about the strengths and weaknesses of individual chapters, encouraging decisions to be made with much greater awareness. We have harnessed learnings and are committed to sharing outcomes here and beyond. Through our compliance coordinators, hotline reports, police and direct reports to Student Conduct, we have seen the departure of 12 organizations in the past two years for violation of our stated expectations for their behavior. We also welcomed new Greek-letter organizations. I am particularly pleased to see growth within the National Pan-Hellenic Council, which governs historically black fraternity and sorority chapters. The council added two chapters in 2018 — Alpha Kappa Alpha Sorority Inc. last spring and Alpha Phi Alpha Fraternity Inc. — and is in the process of adding other organizations in the coming months. Our momentum continues in our collective efforts to promote student safety. This year, the Timothy J. Piazza Antihazing legislation was signed into Pennsylvania law and codifies significant criminal penalties designed to prevent hazing. Pennsylvania’s Medical Amnesty Law and Penn State’s Responsible Action Protocol protect students from prosecution for consumption of alcohol when they seek help for a peer who is passed out, unconscious or unresponsive as the result of over-consumption. These measured improvements haven’t come without challenges. To be successful, we need collaboration and cooperation on all fronts, not resistance. A recent challenge to the State College Borough ordinance to maintain properties as fraternity housing without University recognition is a critical issue. A November 2018 court decision will allow members of two suspended fraternities that lost University recognition to continue to live together and operate as fraternity houses in the borough. The ruling goes against a longstanding municipal housing ordinance that prohibits groups of unrelated individuals from living together in the same house unless they are recognized by the University as a fraternity. This would impede any ability to promote student and community safety. This is an example in which some unrecognized student organizations are operating independently of the University, and in some cases national fraternity organizations are sustaining charters under these circumstances — it is questionable and troubling judgment as well as potentially dangerous. We have communicated with parents to warn them about students joining these rogue chapters — Sigma Alpha Mu and Alpha Sigma Phi. We also have expressed our frustration with the national chapters and call on the media and public to hold these organizations accountable. And, we are supportive of the borough’s efforts to appeal the decision. As hospital emergency room visits by students decline significantly, as crime rates decrease, and as grade points go up, we simply can’t afford to go backward. On balance, we are making progress, but face significant challenges here, and across the country. We thank our Greek-life partners who have embraced change, and we encourage others to seriously consider the lasting consequences of decisions that are counter to the tenets of student safety and well-being. I am proud of the students who have stepped up in the face of adversity. Because of them, I see a future where Greek-letter organizations at Penn State can continue with a renewed purpose, focused on leadership, service and camaraderie. I commend the student organizations and alumni that have embraced our new measures, and especially those that have gone above and beyond to not only implement necessary changes, but who also are taking responsibility for their organizational outcomes, and commitment to their missions and values. I remain hopeful that we will continue on this trajectory in 2019. 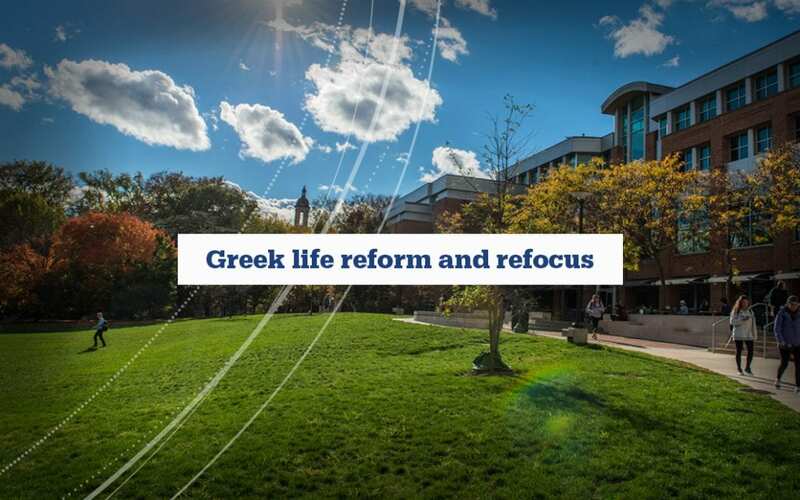 Penn State remains steadfast in its commitment to transforming the Greek-letter community.